MJ Melendez does not have any MLB stats for the season. Draft: 2017, Kansas City Royals, 2nd rd. April 1, 2019 C MJ Melendez assigned to Wilmington Blue Rocks from Lexington Legends. 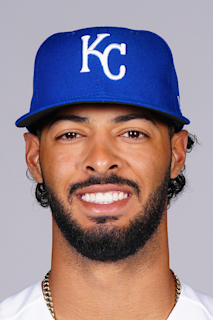 January 8, 2019 Kansas City Royals invited non-roster C MJ Melendez to spring training. April 4, 2018 C MJ Melendez assigned to Lexington Legends from AZL Royals. March 23, 2018 C MJ Melendez assigned to Kansas City Royals. June 24, 2017 Kansas City Royals signed C MJ Melendez. June 24, 2017 C MJ Melendez assigned to AZL Royals.